Public access to most of our local beach area is blocked by the National Guard, but this weekend I was able to walk a two mile stretch of the beach to see the Hurricane Sandy impact. Those of you who read Just One Donna regularly know that I love the beach. I feel very lucky to live so close to the ocean's beauty and can't imagine ever living too far away. 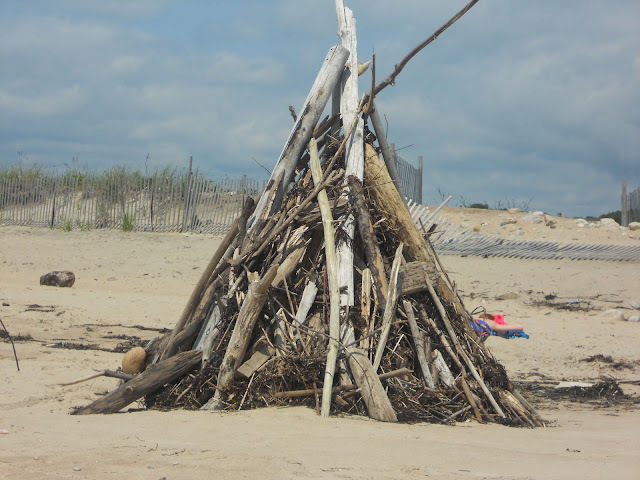 We, New Englanders, are used to storms and the resulting beach erosion. It seems to come with the territory. 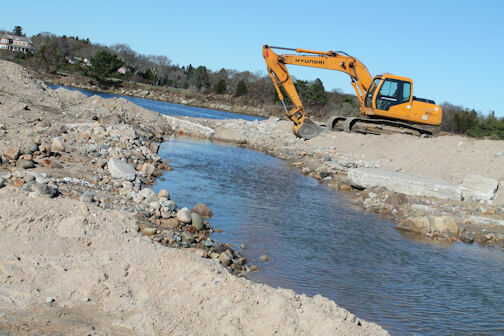 We check our beaches at the end of each winter to see whether or not we lost a significant amount of our precious beachfront to Mother Nature's fury. Sandy was much more than our usual nor'easter. The media dubbed it a super storm. A storm of that magnitude was bound to wreak havoc. Sadly, many of the homes and businesses in the area sustained significant damage or were destroyed by Sandy. Assessment of the full extent of the damage is underway. Today's focus is specifically on the storm's impact on the beach that draws people and businesses to the area. Sand dunes line the beaches in southern Rhode Island, gently sloping upwards for six to ten feet as you can see in this before picture. 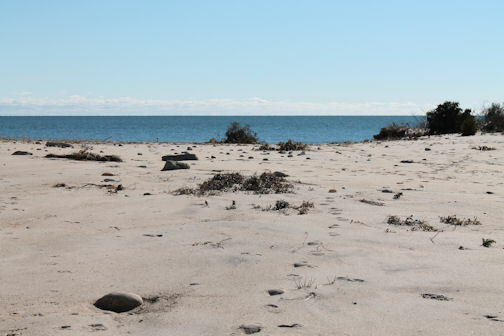 After Sandy, many of those dunes are gone and there is no longer a protective barrier between the water and the land. 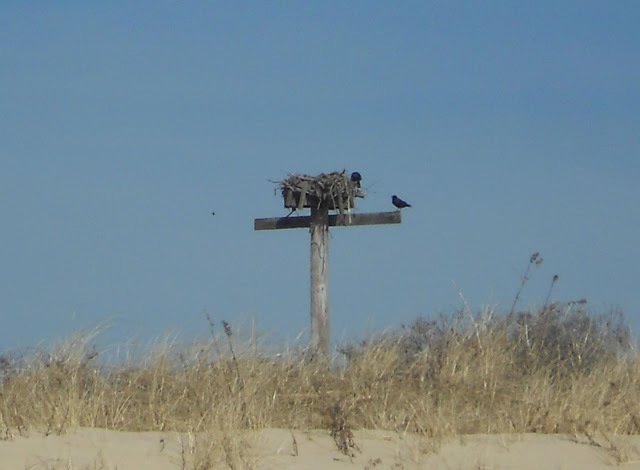 After Sandy this same nest is standing on the flattened beach. 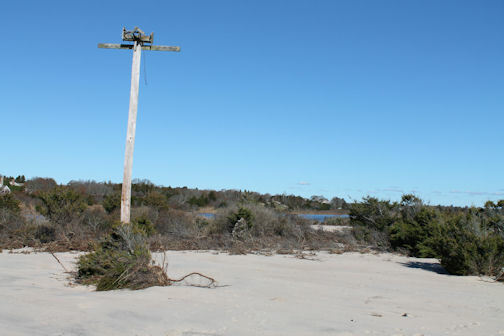 The ocean has destroyed the dunes and breached the beach to connect to a pond. You can see that work is already underway to restore the balance. What does all this mean about the health of the shoreline? I'm not an expert on the shoreline habitat, so I can't provide answers. Another large storm is predicted in the next 24-48 hours with wind gust expected to be in the 50-60 mph range. Will more damage follow? Only time will tell. Click this link for an aerial view of the Sandy impacts along the Rhode Island shoreline.